My Amazing Body Machine takes kids on a unique and exciting journey through all the working parts of human anatomy. From our intricately wired brain to our squeezing, squelching guts and relentlessly pumping heart, renowned scientist Robert Winston exlores each part of this living machine through incredible, original papercraft artworks by Owen Gildersleeve. 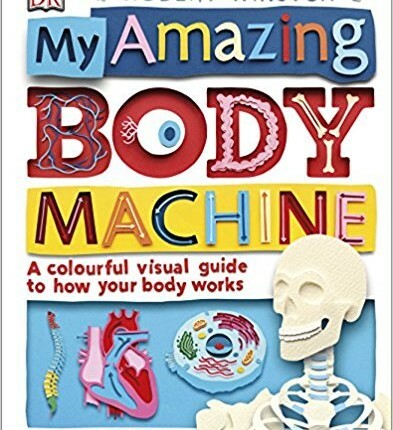 With clear text and fascinating bite-size facts about the human body, My Amazing Body Machine is a body book that makes learning about biology fun. Up-close photography shows how your body works in an immediate and ingenious way. My Amazing Body Machine by Robert Winston is a fabulous, colourful book and makes understanding the most complex machine on Earth both simple and enjoyable: the human body.